Make-A-Wish(r)Greater Bay Area is a 501(c)(3) non-profit organization that fulfills the wishes of children between the ages of 2-1/2 and 18 battling life-threatening medical conditions. Make-A-Wish(r) Greater Bay Area was founded in 1984. In its first year, a total of 27 wishes were granted. Now one of the largest chapters nationwide, we have granted more than 8,000 wishes to date and grant more than 400 wishes per year. The Greater Bay Area Chapter is headquartered in Oakland, and serves 17 counties of Northern California, granting 400 wishes per year. The Program Department is looking for a summer intern to assist with wish planning. This essential position will help the Program Team grant more wishes during our busiest wish granting season. 24 hours per week; hours are negotiable. This is a volunteer position. College credit may be available depending on the requirements of your college or university. 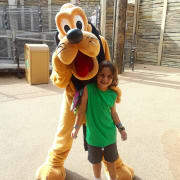 Planning travel wishes for children visiting Disney World in Orlando, FL. Maintaining administrative records of wishes in database and files. Reconciling wish costs (direct and in-kind). Assisting all team members with the planning of wish experiences. Passion for the mission, vision and wish granting process of Make-A-Wish. PC proficient - Microsoft Office Suite (Word, Excel), etc. Raiser’s Edge and Salesforce experience a plus. Bilingual (English/Spanish) not required but helpful. All the office work will be done at the Make-A-Wish office in Oakland. Agree to a minimum three-month commitment.